Taekwondo is a martial art that began more than 2,000 years ago in what is now the two nations of Korea. Translated, “Tae” means to kick or smash with the feet; “Kwon” refers to punching with the fists; and “Do” is the way, the method, and the spirit. Today, taekwondo is the fastest growing martial art in the world with over 30 million practitioners in 162 nations. It became an official sport at the Pan-Am Games in 1984, was designated a demonstration sport at the Olympic Games in 1988, and made a fully official Olympic Sport in the Sydney 2000 Olympics. 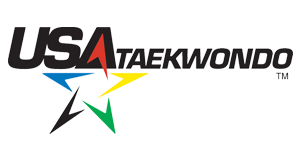 We belong to Kukkiwon, also known as The World Taekwondo Headquarters, and World Taekwondo Federation, the official Taekwondo governing organization based in Seoul, Korea. Grand Master Kim is a 7th Dan Black Belt in Taekwondo. He received his Bachelor of Arts in Taekwondo and Master of Arts in Taekwondo from Kyung Hee University in Seoul, Korea. He is a certified Taekwondo Instructor, Coach, Fitness Trainer, Referee, and Vice – President of Ohio State TaeKwonDo Association.